Merrill C. and Dalia S. Berman, Scarsdale, NY; gift to NGA, 2011. Schellmann, Jörg. 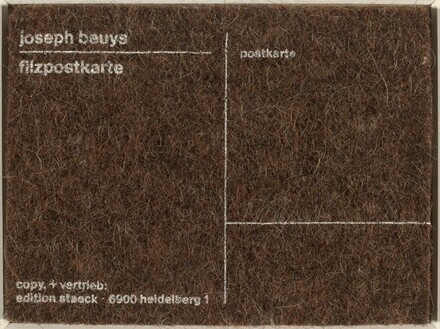 Joseph Beuys: The Multiples. Cambridge: 1997, no. 539.